A movie producer on a flight from New York to L.A. shares his conversation with a man who was so unstable that the plane had to land early in Denver. It's unsettling and enlightening. 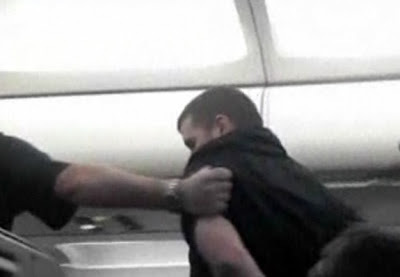 7 responses to "How To Deal With An Unruly Passenger On A Cross-Country Flight"
Interesting and more than a little concerning. Sounds like he was messed up before he went into the Marines. Never said he went to war. Sounds like the streets on NY are what messed him up and the marines helped him out.